Successfully Added IP Security Camera "Miro" - 2MP, HD, CMOS, Night Vision, Motion Detection to your Shopping Cart. 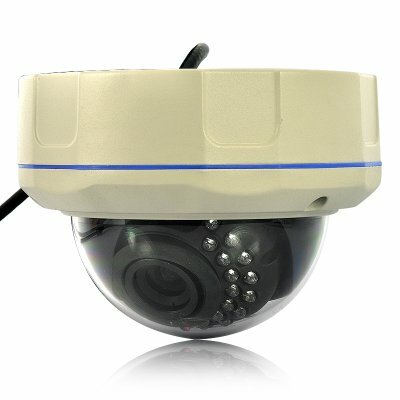 IP security camera with 1/4 Inch color CMOS sensor and 2MP HD recording. Instantly stream the video feed over internet so you can view and record live footage from anywhere in the world. The “Miro” IP camera records every detail in crystal clear HD quality thanks to its 2 Megapixel 1/4 Inch CMOS color sensor and 30 IR LEDs provide great night vision images, turning on automatically once darkness falls. Supporting motion detection and two way audio, you’ll be able to hear what is going on but also be enabled to talk back in case of an emergency. Access the video feed from any PC connected to the internet by simply logging in. Record, view and change parameters of the camera remotely and always have an eye on your property. Another impressive feature of the camera is that it can be configured to automatically send you an alert email as soon as it detects motion in its field of view. Best of all, this IP secuiry camera is built into a vandal proof dome case, meaning nobody will be messing with your camera anytime soon! 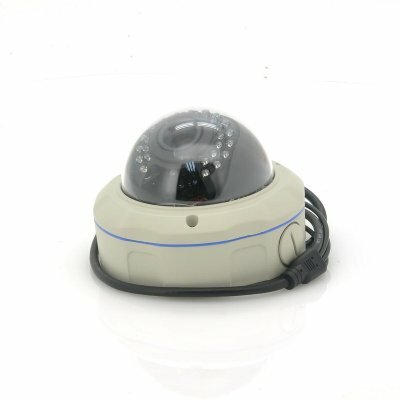 This wired IP Camera with Nightvision and Motion Detect Alarm is available at an astonishing low wholesale factory direct price. Click "Add to Cart" right now and we guarantee to ship your order out the next day. Brought to you by the THE source of IP cameras and security cameras, Chinavasion.